I really enjoyed the first Attack on Titan. I'm really keen to see how the sequel builds on the foundations on the original, and how Koei addresses some of the issues in the first. I'm sure the team's up to the task, though, and we haven't got long to wait now, as the game's release is just around the corner. Related reading: Our review of the first Attack on Titan game on PlayStation 4. I had the opportunity to fire off a couple of quick questions to the very busy producer behind the game, Koinuma Hisashi, just to find out what the team was looking to achieve with the game, and some of the franchises Koei would like to work on in the future. Star Wars sounds good. Matt S: Why did you feel like it was important to make another Attack on Titan game? Hisashi K: The previous game was a challenge and difficult to make, but many fans played it and there were things we didn't implement in the previous game that we wanted to, so to make it a better game for the fans, we pushed ourselves above and beyond with this game. Matt S: How are you looking to expand on the franchise through the games, or is it more a case of giving fans of the anime a precise recreation of that experience? Hisashi K: It's both. It's an interactive game with the world view of the anime for the anime fans, and in doing that we're hoping to encourage those fans to become game players who will then start to play other games. Matt S: What do you think is the core appeal of Attack on Titan, and how is that replicated through the games? Hisashi K: We think it is vital how the titans are portrayed in the game, so we were very thorough and particular in the design and character of the titans. In addition, we also put a great deal of energy into the depiction of the destruction of buildings and bloodshed, to give a greater sense of feeling as though you are on the battlefield. Matt S: Do you design these games to draw new fans to Attack on Titan, or is it very much a franchise for the existing fans? Hisashi K: There are various fans - those that are diehard fans and know everything, and some lighter fans that are kinda familiar with it - so by creating the game, it's for the diehard fans, but we are also appealing to the lighter fans by designing it as something they will have some familiarity with. Matt S: Koei Tecmo works with so many anime franchises now. Are there any in particular that you've always wanted to work on, but haven't had the chance to yet? Hisashi K: Not an anime franchise, but I'd like to work on a game featuring a certain plumber that wears a red hat, as well as Star Wars. Matt S: Last year when I was in Japan I got to go to the Namco VR amusement part in Kabukicho, and there was an incredible Neon Genesis VR ride there. 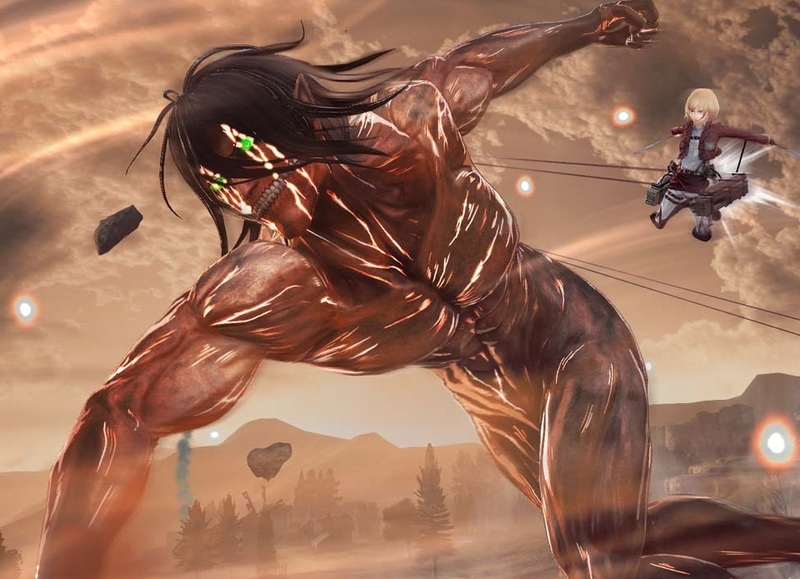 I could easily imagine some amazing Attack on Titan VR experience. Is that something Koei's been investigating? Matt S: Finally, when you're not working on Attack on Titan 2, what games are you playing and would recommend? Hisashi K: The latest game I'm playing is The Legend of Zelda: Breath of the Wild.